Olin joined TexAgs in July of 2012 as a columnist. He previously was a national college football writer for Rivals.com and Yahoo. 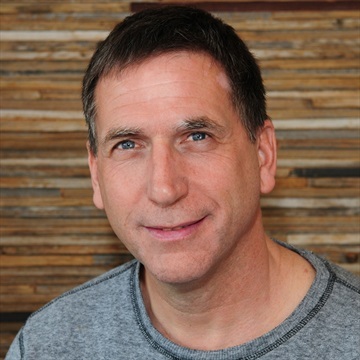 A graduate of White Oak High School in East Texas, Olin worked at newspapers in Longview and Tyler before covering the Aggies for the Bryan-College Station Eagle from 1993-95. He also worked at the Austin American-Statesman for 11 years. He is a member of the Football Writers Association of America and a Heisman Trophy voter. 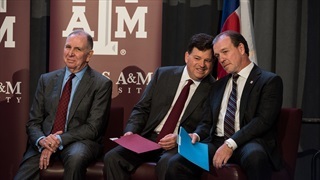 Former Texas A&M Athletic Director Scott Woodward shocked Aggies by accepting the same job at LSU on Wednesday. In the wake of his departure, A&M fans are left with more questions than answers about why the popular AD left College Station. 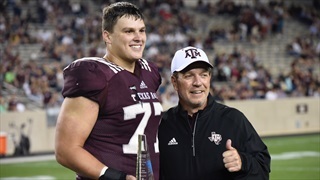 During Thursday's edition of TexAgs Radio, TexAgs co-owner and executive editor Billy Liucci and former A&M and NFL QB Stephen McGee joined the GO Hour to discuss the news that Scott Woodward is leaving Texas A&M for LSU. 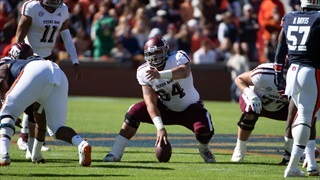 Offensive lineman Ryan McCollum was named the spring offensive MVP by Jimbo Fisher. The Junior lineman is filling big shoes by replacing Erik McCoy, but McCollum brings the talent and grit to do just that. Having a stout line on both sides of the ball is hypercritical in the SEC. 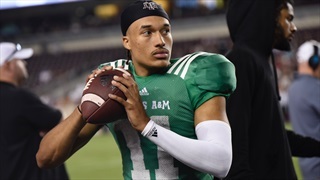 Jimbo Fisher is encouraged by what he has seen from his talented defensive line, but also has plenty of praise for the boys that will be protecting Kellen Mond in 2019. 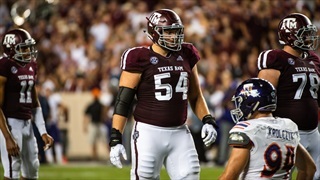 Texas A&M had a lot of talent depart for the 2019 draft, including standout center Erik McCoy. After a very impressive Senior Bowl and Combine, McCoy is climbing draft boards very quickly and may hear his name called on the first night of the draft as a result. 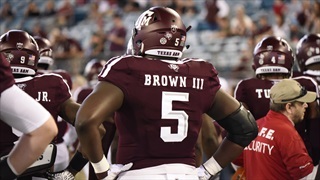 Bobby Brown has been developing alongside the rest of the defensive line this spring, and after continuing to improve each day the sophomore is ready to wreak havoc on opposing offensive linemen next season. 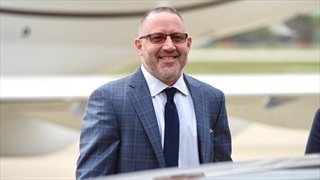 New A&M head basketball coach Buzz Williams blazed an interesting path before ultimately returning back to College Station. His unique upbringing has him feeling like he's primed to succeed in Aggieland. 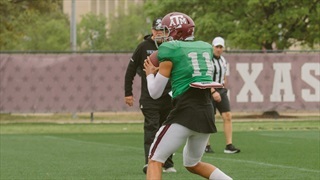 With spring football about to enter its final week, the Aggie football team spent Saturday's practice fine-tuning their awareness on both sides of the football, and Jimbo Fisher was quick to hold the whole team accountable.